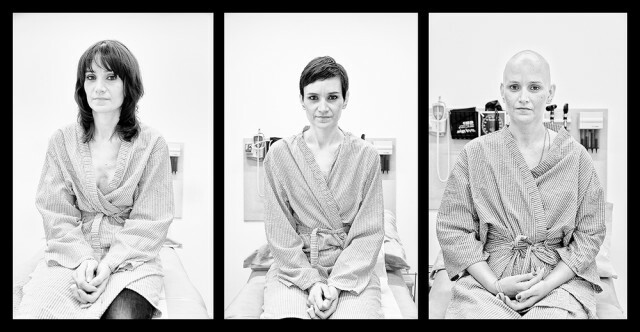 In 2010, Angelo Merendino began documenting his wife Jennifer’s battle with metastasized breast cancer through poignant and haunting photographs shot throughout the stages of her disease. These photographs are now the focus of a book, titled “The Battle We Didn’t Choose“. The book is dedicated to Jennifer’s memory and fifty percent of the net profits from its sales will be donated to the non-profit, The Love You Share, whose mission is to provide financial assistance to women in need while they are receiving treatment for breast cancer. To honor my late wife Jennifer, who passed at the age of 40 from metastatic breast cancer, I have started The Love You Share, a non-profit organization whose mission is to provide financial assistance to women in need while they are receiving treatment for breast cancer. Fifty percent of the net profits from sales of my book will be donated to The Love You Share. I cannot think of a better way to honor Jennifer’s legacy than by helping others.